So, you want to start a blog? This is a great idea! Below, you will find a step by step guide with the easiest way to start a profitable blog in less than 15 minutes! This easy-to-follow, step-by-step beginner’s guide will take you through everything you need to do to start a blog today and make money. No technical skills and coding are required from you. Yes, it’s so simple and easy! In other words, to do whatever you like and at the same time, make a profit! First, let’s cover some of the most commonly asked questions. You’ll need 4 things to start your blog or your website. First of all, you will need an “idea”. You will have to decide what your blog will be about (niche). Choose something that you love, that you are passionate about or something that you have real knowledge for. The more specific you are, the better the ranking you will receive on Google. So It’s better to start, for example, a vegetarian food blog or a low carb recipe food blog or the perfect Pizza food blog. You get my point I guess. Of course, the name that you will choose should be relevant to your content. Secondly, you will need a domain name – Domain name is the name of your website, practically your web address, for example, google.com or facebook.com. Our domain name is lifestyleandberries.com. A (.com) domain name usually costs about $12-$15 annually. Likely, you can get a free domain name if you open a web hosting account to Bluehost here. A Webhosting provider. All websites on the internet need hosting. Let’s say that web hosting will be your website’s home on the internet. Practically, it is the place where your website files are stored. And finally, a Website platform, in other words, a website builder to set up your blog. There are many available, website builders that will help you set up your blog. We propose the use of WordPress as your blog platform (wordpress.org). WordPress is the most famous website platform in the world. In fact, over 85 million of websites are powered by WordPress platform, and 99.9% of the successful bloggers use only that. WordPress is by far the most reliable tool on the web market. It is free (which is great!) and comes with thousands of free website themes, plugins, and tools that will help you create an easy (without any coding knowledge), beautiful, factional, SEO friendly and mobile optimized blog. We use WordPress to build all our websites, and we highly recommend it. WordPress is free, but you’ll have to pursue your own domain name and web hosting, which costs money. We recommend all our readers to start with a small budget. In our guide, we’ll show you how to build a website for less than $60/year (the amount you will spend for a domain name and a web hosting account). Of course, there are free alternatives, like Blogger, Tumblr, and wordpress.com (the free hosting platform). It certainly looks ugly and unprofessional. Free blogs have a lot of limits. For example, you can’t fully monetize them. They also limit the number of photos and videos you can upload. You won’t even have access to the free themes offered by WordPress. Your blog doesn’t actually belong to you. It’s hosted on someone else’s web property, and they can do whatever they want with it! They have the right even to delete it! This means all the hard work you’ve done on your blog might vanish within seconds. Not to mention that if you want to switch from a free platform to WordPress in the future, it will cost you money, time and followers. You are the owner of your blog. You’ll be able to name your blog, for example, “YourName.com”. You can choose a free WordPress theme and upload unlimited posts, pictures and videos. Last but not the least, you can monetize it (which practically means to put ads, reviews, and sponsored links) and make a profit. Bottom Line – We highly recommend a self-hosted WordPress blog. As we’ve already said, your domain name is your website’s address on the internet. This name is what your users will type in their browsers to reach your website (for example, youtube.com). Don’t use anyone’s copyright or trademark. Avoid the use of hyphens, numbers, and dashes. Use keywords that are related to the topic you’ll be writing about. Avoid variations of domain names that are already taken. It’s always better to use a (.com) domain extension. Even though you could use (.net), (.org) or other extensions, many users still know and ‘trust’ only (.com). Keep your domain name as short as possible – that way, it is more memorable and easy to spell. If you’re not totally sure about what domain you want to use, we always recommend using your own name “YourName.com”. You can find millions (truly) of domains names at the following websites which are 2 of the most reliable and popular on the web market. In case you already have a domain name or a website hosted by another provider, SiteGround will give you a free website transfer. In case you choose Bluehost for your Webhosting, you will get a domain name for free. There are 3 types of hosting available on the web market. Shared hosting – when you share your server with other websites. VPS hosting – when you share your server with other websites, but some of the available resources are reserved for you. Dedicated hosting – when the server manages only your website. For a beginner or a “small” blog, shared hosting is a perfect choice. You can always upgrade hosting when your website is big enough. There are lots of web hosting providers and although the prices are almost the same, the quality of the services is not the same! Below you will find 2 of the best web hosting companies in the market. Both are absolutely trustworthy, they offer their services to millions of blogs and websites, they are suggested by WordPress, and they have excellent client service departments. We’ve tried both, and we use them on our websites with no problems. That’s why we highly recommend them to you. Note: At lifestyleandberries.com, we are honest and transparent. If you purchase hosting or another service using our referral links, then we will get a small commission at no additional cost to you. You, on the other hand, will get a discount on hosting + a free domain name. We want to ensure you that we only recommend high-quality products or services that we personally use, trust and love and we believe they will add value to our readers. SiteGround web hosting is our first choice. They provide the safest web hosting service with excellent Hack protection. Your website is fully protected from hack attacks (and believe us, this is a very common problem) and also your account is completely isolated from the neighbors. In fact, SiteGround is the pioneer in applying effective account isolation mechanisms to the shared hosting environment. Their support team is the best and are there for you 24/7. You can ask about anything, anything at all, they will reply immediately and they will persist until you are satisfied. Their technical support team is high-level professionals based in the US. 30-day money back guarantee – that means no risk! Besides, being able to get a low price for a year, it’s very beneficial in comparison to other hosting providers where the lowest monthly price applies only for a more extended period (2-3 years). After all, SiteGround is the most popular hosting provider used by thousands of bloggers. Through our link, you will have a great discount, up to 60% off on starting price. Bluehost is one of the largest hosting companies, and an official WordPress recommended host provider since 2005. Bluehost has agreed to offer our users a free domain name and over 60% discount on web hosting. Click here to Start a Blog with Bluehost and get an exclusive discount plus a free domain name. For a beginner, their Starter Plan will be a perfect choice. We recommend getting the GrowBig plan only if you want to create multiple websites. Write your blog URL (the domain name of your choice) there. You’ll then be asked to input your contact information to register a new account. Select your plan, server location and how long you want to purchase your plan for. The best server location you can have would be the one that is closest to where the majority of your blog readers are located. For example, if the majority of your website visitors are from the US, you should select “Chicago, USA” as preferred server location. As it is not a good idea to share your personal information online, we suggest picking domain privacy or using a PO Box address. Click “Next” and put your payment info. SiteGround will send you a welcome email with your credentials (how to log in to your account), and you’ll be asked to proceed to the customer area. This is where you’ll install WordPress. Next, click on the ‘Get Started Now’ button. Choose the pricing plan for your website. Basic is the most popular choice, especially if you are a beginner. Click on “select” to choose the plan that you like. Next, you’ll be asked to select your domain name. After choosing your domain name, click the “Next” button. On this page, you will also see some optional extras. We generally recommend not purchasing these extras. You can always add them later. Click “Next” and add your payment information. After completing your purchase, you’ll receive an email with details on how to login to cPanel (your web hosting control panel). This is your hosting dashboard where you’ll manage everything. There is where you’ll install WordPress. Both SiteGround and Bluehost give a 1-Click WordPress installation. So don’t worry, you don’t need to install anything. This would be an automatic one-click procedure. My Account > Access My Cpanel > Under Preinstalled, click on WordPress. That’s your 1-click installation process. You can access it at www.domain.com/wp-admin (replace “domain” with your URL) and input your credentials. Congratulations, you have created your first WordPress blog! Now It’s time to start the most exciting and creative part. Customizing the look of your blog/website is a fun and creative procedure. The appearance of a WordPress blog or website is controlled by themes. A theme is responsible for the layout and for the design of your blog. There are thousands of different WordPress themes on the market, free or paid (premium themes), that you can choose. A Premium is a well-coded theme that keeps your blog safe from hack attacks. Additionally, it boosts your traffic and your blog’s performance on search engines because it is SEO ready and optimized. Also, it gives you the opportunity to make your blog look exactly like you want it to be. A theme has two parts, the Framework (the structure) and the Child Theme (the design). The best framework on the market with no droughts is Genesis Framework available at Studio Press. 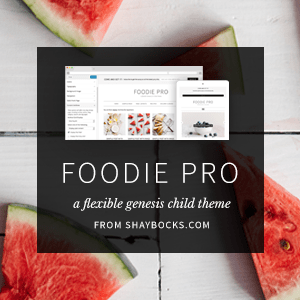 There (Studio Press), you can also find your child theme (the design of your blog) and choose exactly, what properly fits your business or your blog niche. Don’t worry; no coding knowledge is needed for the installation of the Genesis framework and a Child Theme. A Free theme is an option for a beginner blogger, that can’t or doesn’t want to purchase a theme and doesn’t have any big expectations from his/her blog. WordPress by default sets up a free theme along with the installation. You can change it anytime by going to your WordPress dashboard. Click on Appearance » Themes. Next Click on the “Add New” button. On the next screen, you will be able to search for thousands of pre-made free WordPress themes. You can choose sorted by popular, latest, featured, as well as other filters. If you decided to purchase a Premium theme, you could upload it from your pc, and after that, you can install it and activate it exactly as you would do for a free one. There are some things that you have to take into consideration when choosing your theme. Search for a theme that has a simple and responsive design layout. It is important to be pretty without being complicated. That way, you’ll make it easier for your users to find the information that they need, either from a pc or their mobile. Have in mind that a significant number of web traffic is generated from mobile. Google shows mobile-friendly websites on top of its mobile search results, and that means more traffic for your site. Thus, all websites need to be responsive and mobile-ready. You can test if your blog is mobile friendly at Google’s Mobile Friendly test page here. A well-coded theme could support your website’s SEO (Search Engines Optimization). In other words, your website’s performance on search engines. That is why it is crucial for your theme to be SEO ready and optimized. Of course, if you are a beginner, you can’t analyze a theme’s code on your own. What you have to do is look at theme’s details (click on Theme Details button) where you can find out if your WordPress theme is optimized for SEO. WordPress plugins are the power of WordPress. You can do anything with these plugins on your website, so make sure that the theme you have chosen supports all popular plugins. To name some Yoast SEO, Contact Form 7, W3 Total Cache, Akismet etc. Finally, make sure that you select a WordPress theme that has a support option. Unfortunately, most of the free themes don’t include support and updates. On the other hand, premium WordPress themes offer installation, updates, and documentation with one year of support. Below are some premium theme shops where you can purchase Pretty, Well Coded, Responsive, Seo Optimized, Retina Ready themes. We personally use several of their themes, and we highly recommend them. When you have found the theme of your choice, move your cursor to it, and the “Install button” will appear. Click on it to install the theme. After that, you will notice that the install button will be replaced with an “Activate button”. Click on it to Activate the theme. Once you have installed and activated your theme, you can customize it by clicking on the Customize link which is on the Appearance menu. Don’t be disappointed if your theme doesn’t look like the one in the WordPress presentation. That’s because it has no content. You need some posts and pictures to make it vivid and beautiful. Once you choose, install, activate and customize your WordPress theme, you are ready to create your first blog post. As a beginner in WordPress, you may be questioned on what the difference between a page and a post is. Well, pages have static content, they are not sorted into categories, and they appear permanent on the main menu bar of your blog. The most common pages on WordPress websites are the Home page, the About page and the Contact us page. Posts are the articles on your blog, they are sorted into chronological order and categories. After that and before you start writing your first post, you have to create the categories where your posts will belong to. On your Dashboard, go to Posts – Categories – Add new category – Name. Create some categories according to your blog’s content and anytime you publish a new post, you have to choose a specific category to include it. For example, if you have a food blog, your categories could be Appetizers, Salads, Main Dishes, Sweets etc. Now let’s write the first blog post! Wow! what a moment…take your time, and when you feel inspired and ready, go for it! On your Dashboard, go to Posts. You will see a post there “Hello World” which is the default post of any WordPress blog. You don’t need it so Click on “Trash” to delete it. Next, you have to Click on the “Add New” link, to create a new post. On the post editor screen, first you have to enter the title of your post and after that, go to the main editor box below where you can write the “body” of your post. And that’s it. Take your time to explore all the buttons there and discover their functionality. Make sure that you set up the Yoast SEO plugin which will be an excellent guide to achieve the Search Engine Optimization of your posts. To make the readers follow you and share your posts, you have to write valuable content. That means that your posts should be well written and give an answer to a question or the solution to a problem. And whatever you decide to write about, be sure that you are honest and always tell the truth. Follow all the above steps, be creative, passionate and stay focused on your goals and you will succeed. Guaranteed!